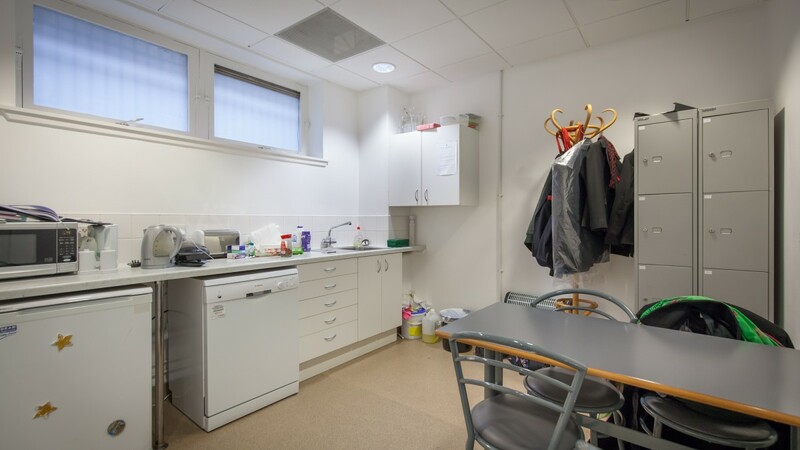 The subjects are located on the south side of Union Street between the junctions with Bon Accord Street and Bon Accord Terrace in the heart of Aberdeen City Centre. 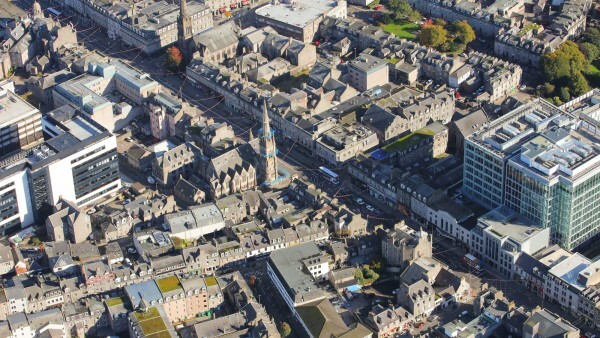 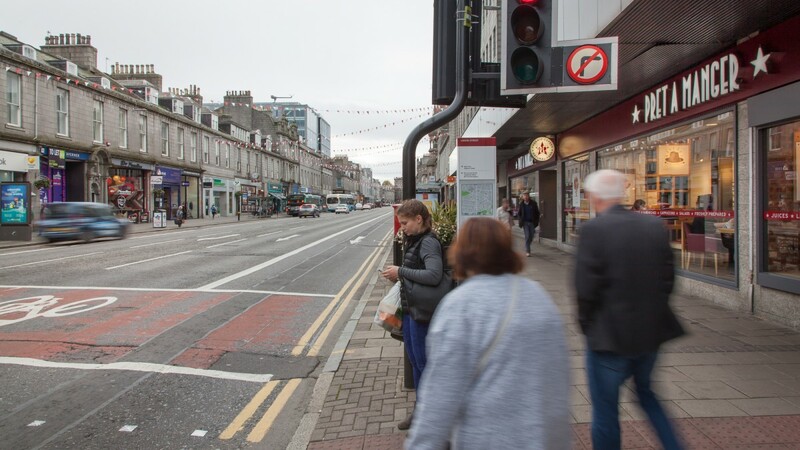 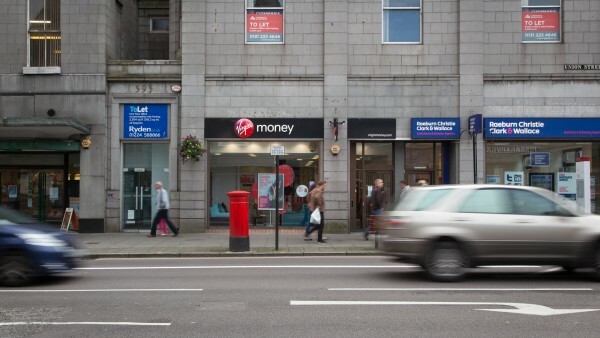 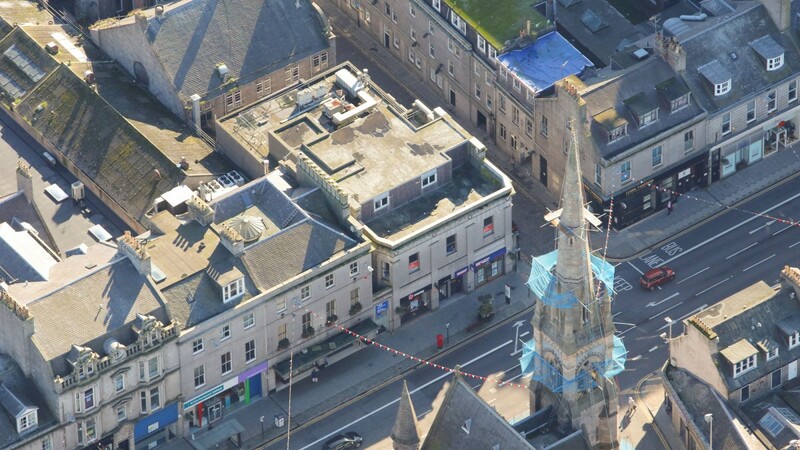 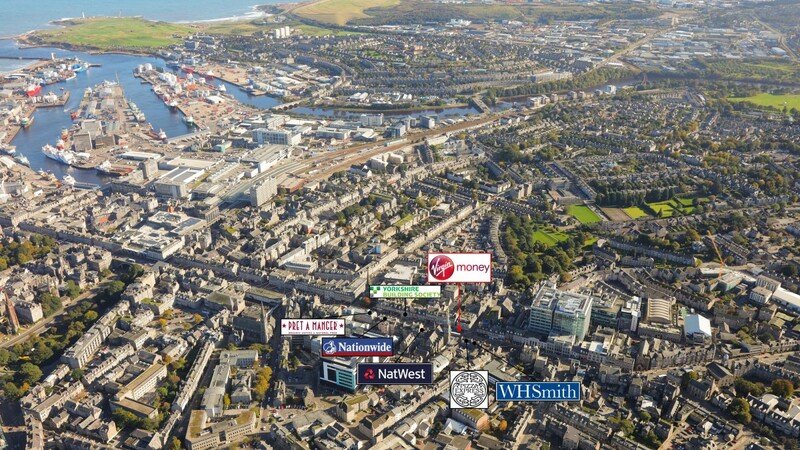 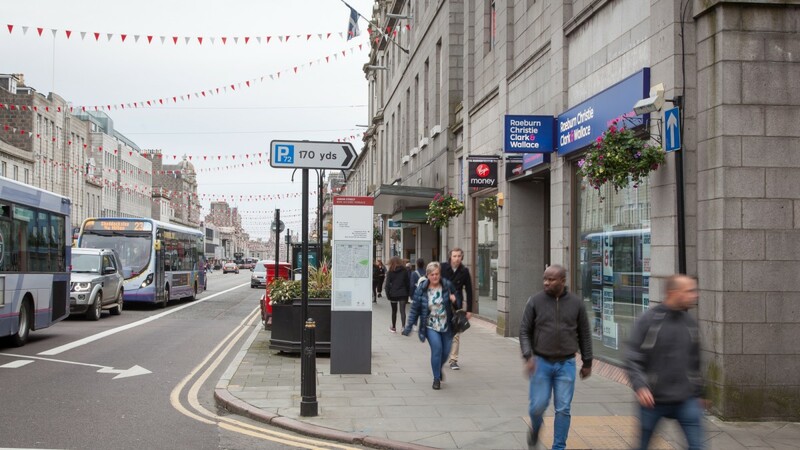 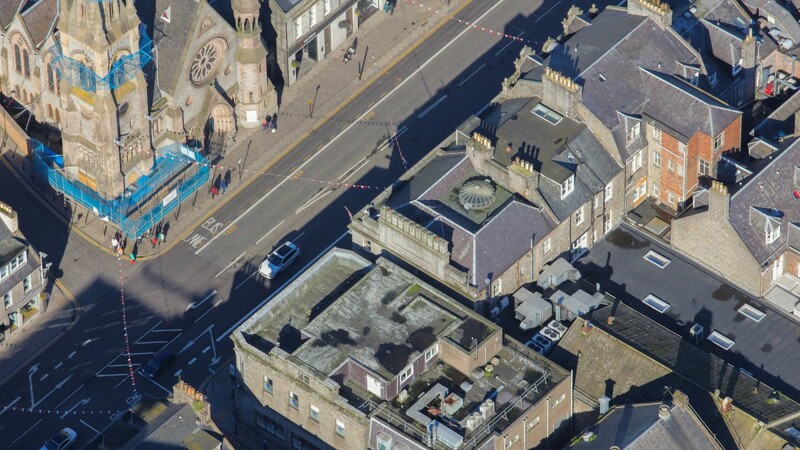 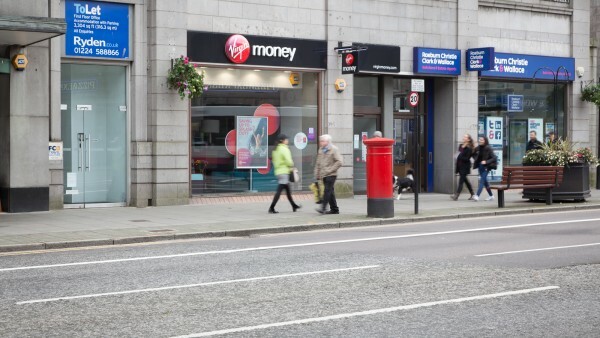 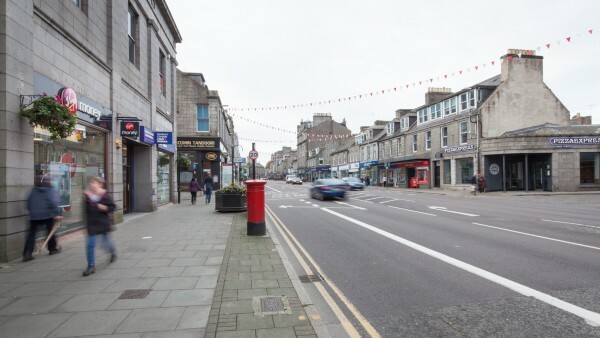 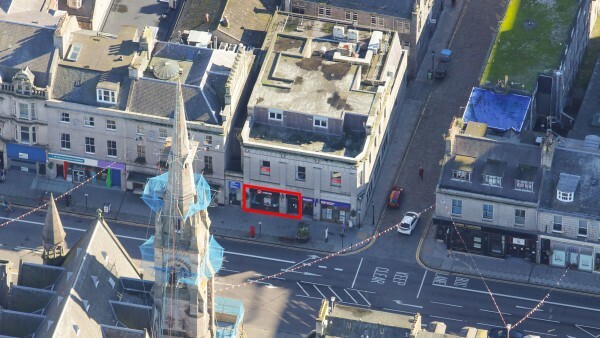 Union Street is the principal thoroughfare running through Aberdeen City Centre and nearby occupiers include Pizza Express, Nat West Bank, W H Smith and a variety of independent retailers and restaurants. 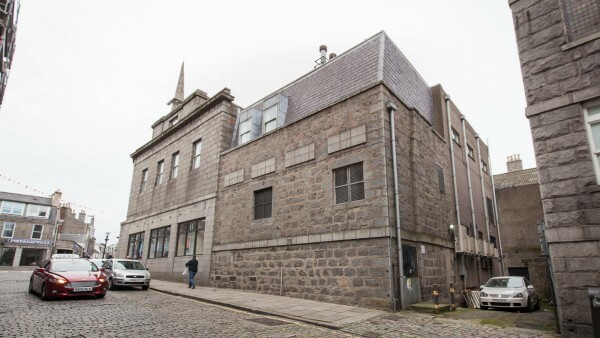 The property comprises a ground floor retail unit within a 3 storey building of traditional granite construction under a flat felt covered roof. 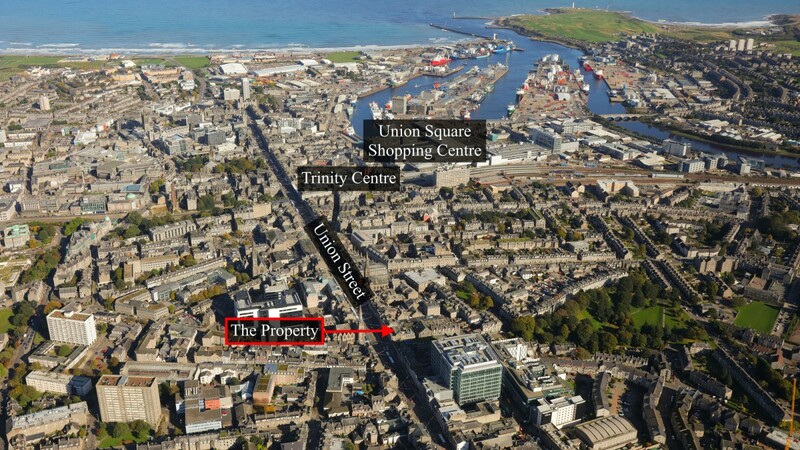 The upper floors are occupied as offices and are in separate ownership.. 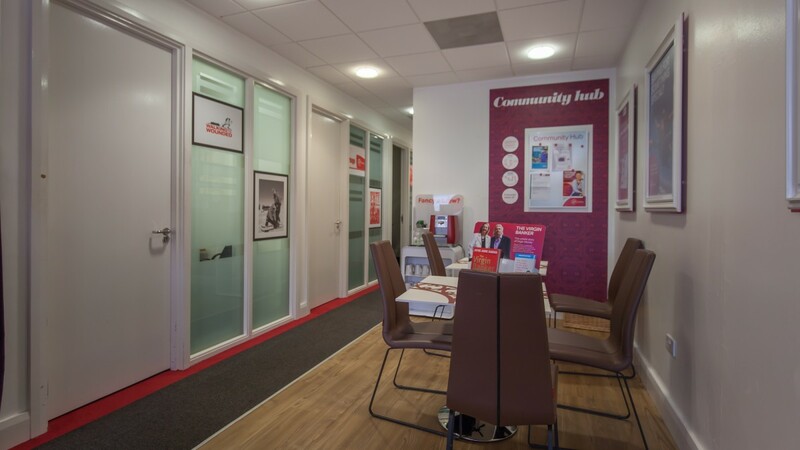 The unit has a modern glazed frontage with corporate display fascia. 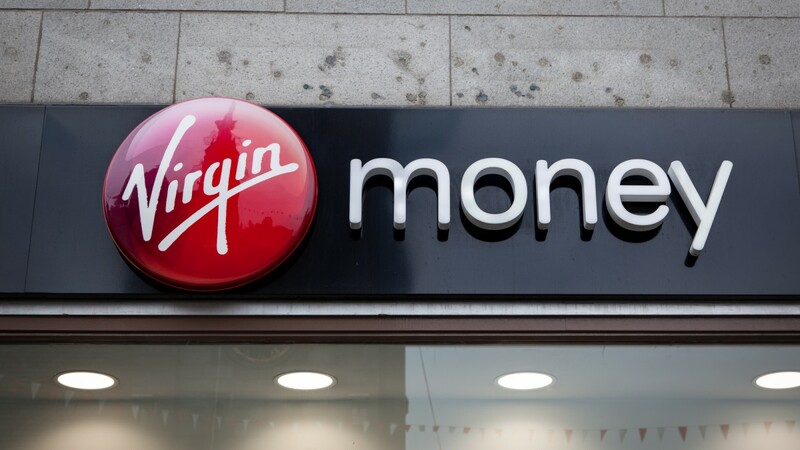 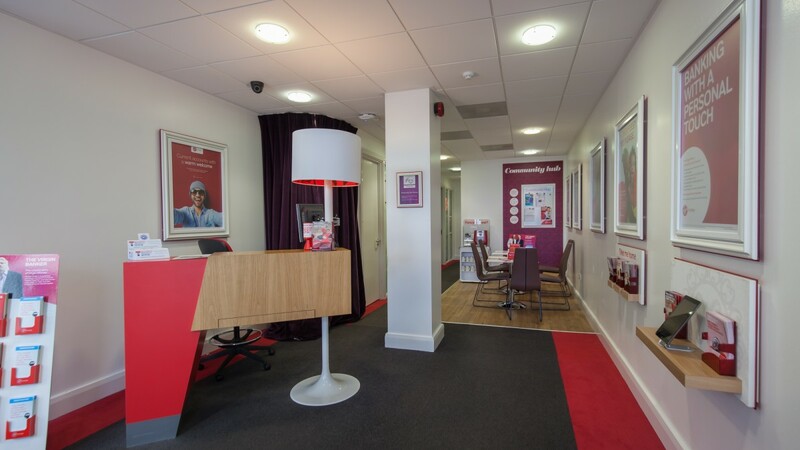 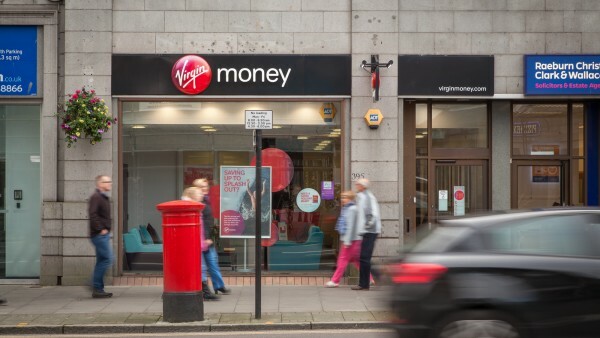 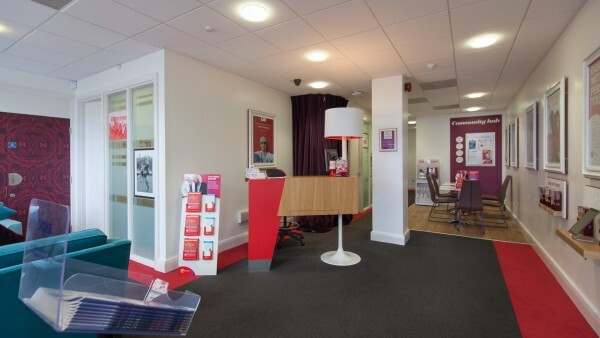 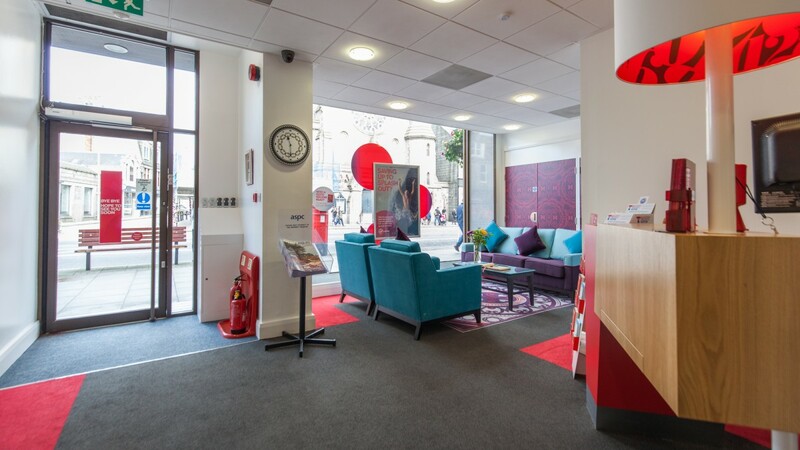 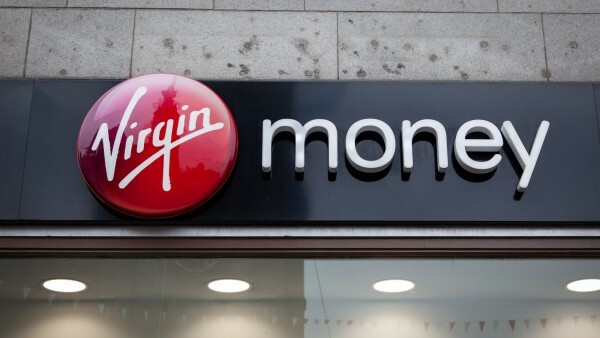 Internally, the premises has recently been fully re-fitted to the latest corporate standard for Virgin Money. 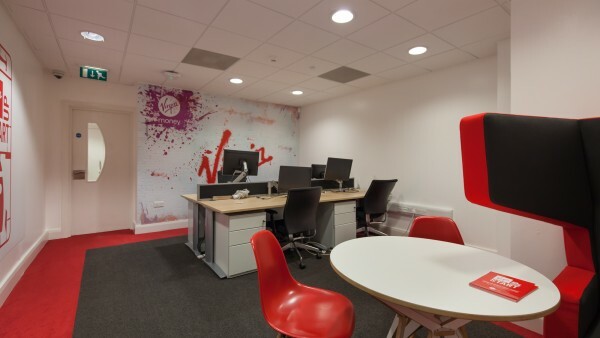 The accommodation comprises front sales area, 5 meeting rooms with staffroom, ladies and gents and disabled toilets to the rear. 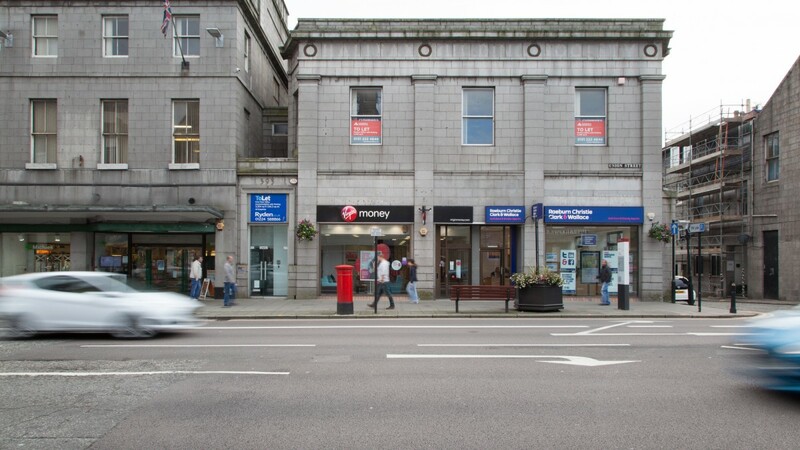 The tenant is proposing to spend in excess of £100,000 on internal refurbishment and upgrading including installation of new air conditioning system and an ATM. The property is let on a Full Repairing and Insuring lease to Virgin Money Plc for 10 years from 7th November 2013 expiring on 6th November 2023 at a passing rent of £44,000pa. 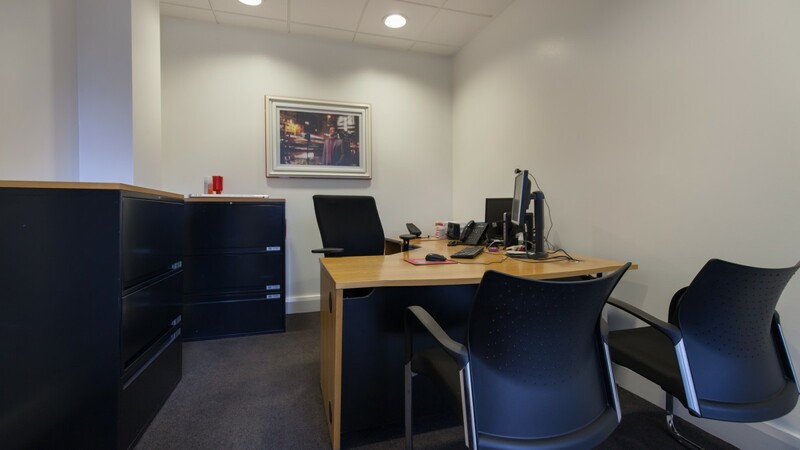 There is provision for a rent review effective 7th November 2018 and the tenant also had a break option in November 2018 which they have agreed to remove, for a capital payment of £22,000, demonstrating their commitment to the property. 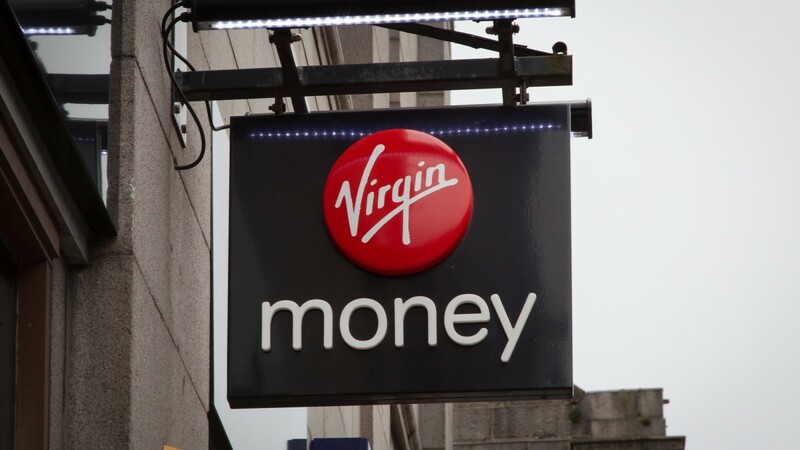 Virgin Money plc is a UK-based bank and financial services company owned by the Virgin Group and founded by Sir Richard Branson in March 1995. It was originally known as Virgin Direct. In the 2000s Virgin Money expanded its operations around the world. 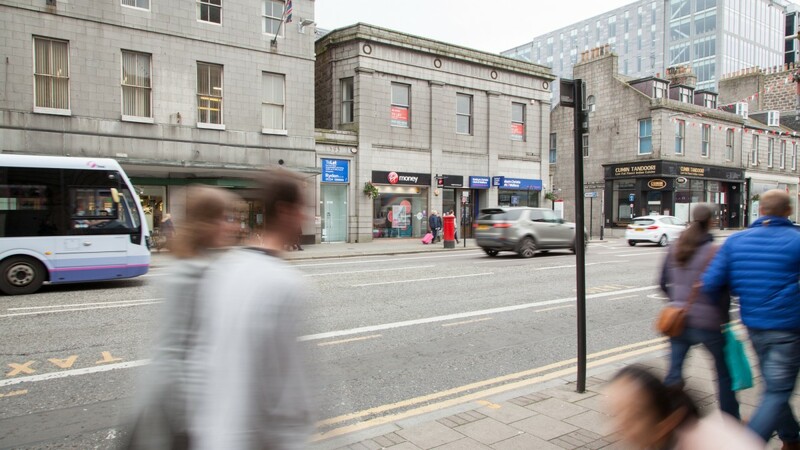 We are instructed to seek offers in excess of £525,000 (Five hundred and twenty five thousand pounds), subject to contract, which reflects a net initial yield of 8.02%, after allowing for standard purchasers costs of 4.25%.